Chapel Down Wines has broken the crowdfunding record after closing a £3.95m fundraising in just three weeks on the Seedrs.com platform. The deal for the Kent-based winery, which is listed on the ISDX Growth Market, was 237% over-funded after seeking just over £1.6m for 6.48% of its equity at a pre-money valuation of £24m. Started in 2001, Chapel Down’s Seedrs campaign ultimately raised £3,953,819 from 1,462 investors in exchange for 14.11% of the business. The deal followed a £4.35m fundraising from a new equity issue on the ISDX exchange in July 2013. Stocked by restaurants owned by Jamie Oliver, Gordon Ramsey, and Iqbal Wahhab’s Roast, as well as Waitrose, Selfridges, M&S, Harvey Nichols, the Savoy and Majestic Wines, the business has established itself as UK’s largest wine producer and is also the business behind the Curious Brew beer brand. The latest deal marks an impressive turnaround for a business that in its infancy had its photocopier repossessed. In 2001 CEO Frazer Thompson, a former strategy director of Whitbread and global brand director of Dutch brewer Heineken, was parachuted to run the business. At the time, recalled Thompson to the Telegraph, “there wasn’t a market for English wines”. Following a £2m fundraising from serial angel investors Nigel Wray and Richard Balfour-Lynn, the company joined the OFEX market, which was the precursor to today’s ISDX Growth Market. Today, the profitable company with assets that include its winery, stock, the Tenterden vineyard, a restaurant and shop generates revenues in excess of £5m. It also exports to a number of countries in the Far East including Japan, Hong Kong, and Thailand, as well as the United Arab Emirates, Canada and several European nations. The Curious Brew beer brand has grown by 570% in the last two years and the business plans to use new land to grow more fruit to meet rising demand for its wines. It also intends to use the finance to expand its winery and distribution facility, build a brewery and visitor attraction to capitalise on tourist interest in its brands, as well as boost the size of its marketing team. 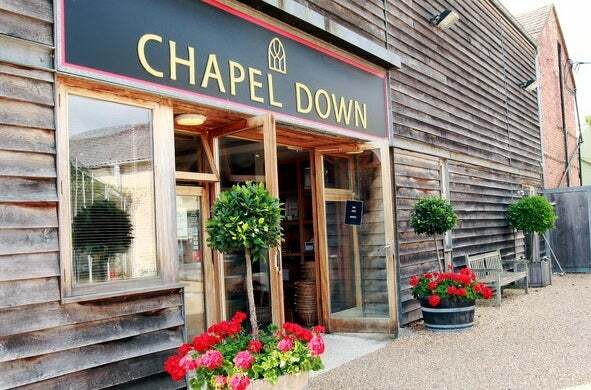 Investors are entitled to up to 33% off Chapel Down’s wines, free access to tours and tastings, as well as discounts on beers and gifts. Through its ISDX listing, investors are also able to buy and sell shares on the exchange.